PLEASE TAKE TIME TO LEAVE FEEDBACK! THANKS SO MUCH!!! 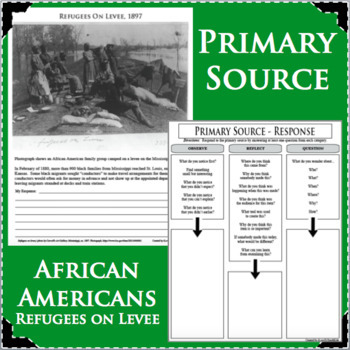 Allow your students to discover more about the BLACK HISTORY using this Primary Source activity. Examining primary sources gives students a powerful sense of history and the complexity of the past. Helping students analyze primary sources can also guide them toward higher-order thinking and better critical thinking and analysis skills. A FULL PREVIEW is available to assess the quality of this product. 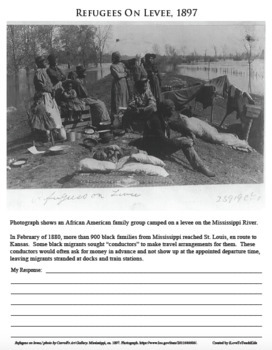 DESCRIPTION: In February of 1880, more than 900 black families from Mississippi reached St. Louis, en route to Kansas. Some black migrants sought “conductors” to make travel arrangements for them. These conductors would often ask for money in advance and not show up at the appointed departure time, leaving migrants stranded at docks and train stations. 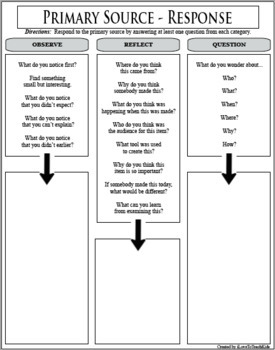 This cross curricular, differentiated activity is designed to reach the varying learning levels of all students by allowing them to respond to the primary source and choose the questions they would like to answer.